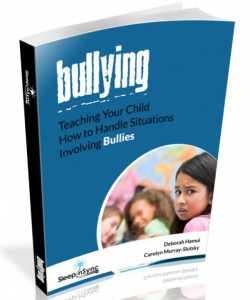 The daily stresses in a child’s life are typically caused by test-taking, bullying, anxiety, and many other things. Deborah Hamui, founder and CEO of Sleep'n Sync was highly aware of this information when she created Sleep'n Sync- a revolutionary, audio soundtrack that helps children become more receptive and acquire skills needed to live optimistic, successful lives, while they are sleeping. 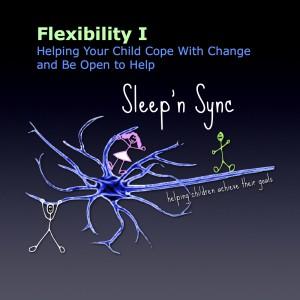 Implementing audio with an engineered background soundtrack with binaural beats, Sleep'n Sync synchronizes the child’s brainwaves, creating greater receptiveness while the child is asleep. The program includes audio that should be played on a daily basis while a child is sleeping, during a relatively short period of time. Results are evident in as little as six weeks. 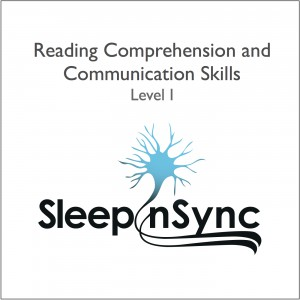 Sleep'n Sync offers programs for many of the challenges that children face every day, such as: test-taking skills, autism, ADHD, bullying, reading comprehension, communication skills and more! What does sleep have to do with learning? Many studies have shown that sleeping good and enough improves our learning, and although the information we learn we take in mostly when we are awake, we need to sleep it out to actually get it soundly learned. Why? Because sleep participates in the consolidation of our fresh memory. How? The brain-cell clusters that are activated when we learn when awake are activated again when we sleep, right after that awake period, suggesting that the brain connections that were formed when we were taking information in when awake, are reactivated when we sleep, therefore relearned and stored in the right place. Research has demonstrated that even a nap in the middle of the day can help us learn, and that we need to sleep enough to function properly and learn effectively when we are awake. When we try to study, let’s say for a test, and we study over and over the same information, but we don’t sleep enough time, we do not get it soundly established in our brain. And if we pretend to take in too much information before we sleep, through the night or just take a nap, our brain doesn’t get it. Studies have found that our learning worsens over the course of several sessions of learning, when we do not get sleep. This means that we can take in a certain amount of information properly and then we have to give our brain the chance to secure it in our memory through sleep…in other words, we can “burnout” as we study too much information in a session, or series of sessions, with no sleep periods in… So we have to understand that to really learn, we need to get some sleep…enough sleep to get everything properly registered in our head. How does the brain process the information and experiences that we have during the day at night when we sleep? At night, our brain does not follow a simple process of input and then storage; our brain has a complex process that involves many interconnections between the many different neurons in different areas that participate in such a process. This process involves taking the sensory information from our most recent experiences, selecting what is relevant, discarding unnecessary information, and associating all this with other stored information from experiences that we lived before, that is, from information that was previously processed and stored in our brain. In this process that happens when we sleep, relevant information is “filed” and reorganized in the right place so that we are able to retrieve it when we need it. This action of accessing and retrieving information can be a conscious or subconscious action. Let’s say a girl is having piano lessons, and she needs to learn and practice a certain melody. Her piano instructor showed her the melody, its rhythm, its sound, etc., however the girl has to practice it so that when she plays the melody at the closing piano ceremony of the end of the year, which is coming soon, it comes out perfect. She tries practicing the day her instructor introduced her to the melody, but she is not comfortable with the outcome, so she doesn’t practice the following 3 days. Then, on the 4th day she practices the melody and she performs incredibly well. What happened? She didn’t practice the melody for a few days and then she does great!! !The explanation to this outcome is that her brain did practice the melody when she was sleeping, she rehearsed and practiced playing the melody in her sleep, for 3 nights. So when she played the melody on the piano while awake, it came out really well, she did practice and rehearsed the melody. Sometimes the time our brain needs to process daytime inputs in longer periods of sleep, and at different stages of sleep. It is known that the different stages of sleep provide the ideal state to process different kinds of input. This means that some input from one experience may be processed in the immediate sleeping period, while other inputs of the same experience may be processed in later sleeping nights. The goal of Sleep'n Sync is to empower children with the skills needed to overcome their obstacles. For additional information on the product, please visit www.sleepnsync.com. You can also visit Sleep'n Sync on Facebook, Twitter, Pinterest, and YouTube. We have a child who has both motor and speech apraxia as well as other diagnoses. At age 6, I'd definitely like him to be more independent, but I know things are hard for him since his body doesn't cooperate with what his brain tells it to do. We also deal with a lower emotional maturity, so there's been a lot of defiance and hitting on his part - only with me, however - he behaves for most other people. That behavior has been wearing on me and we needed a change. Sleep'n Sync offered to send the Flexibility I program, which includes both an audio track and binaural beats soundtrack. The Flexibility I program is designed to help a child be more, well, flexible - more open to change, trying new things, coping with change and being able to be confident about changes and themselves. Fear and anxiety can hold a child back - the thought "I can't do it" becomes "I can do it", which later becomes "I will do it" and then "I am doing it!" Each program comes with a nice little guidebook for using the program and includes helpful tips for helping your child overcome adversity. The guidebook includes detailed evaluation forms, so you can keep track every week on the progress he or she makes. While some children may show progress right away, others may take longer. Sleep'n Sync recommends the child listen to the program for at least 6 weeks, or longer. Our son began showing improvement in his ability to do new things and ask for help when needed during the second week. By the fourth week, we were seeing much more improvement, and now 6 weeks into it, he is showing improvement in almost every area, including behavior. This program has come to us at a serendipitous time; we are increasing his speech, occupational, and physical therapies this year and having him be open to the coming changes is needed in order to accomplish what he wants to do most: talk. The price is very reasonable and I would recommend Sleep'n Sync to any parent to help guide their child to be more flexible and adaptive! I am sure that this will be useful to read for your kids. At least it will help them to find out more about writing personal college statement examples.